Wrinkles, scarring and stretch marks can be attributed to a lack of collagen in the skin. The treatments cause mild trauma to the skin convincing the body it needs to repair the area by creating new collagen and elastin. Thus making the skin stronger and more flexible and, repeated over time the skin becomes thicker and gradually repairs itself. Micro-Needling also increases blood supply to the skin assisting cell regeneration and slowing the ageing process. What parts of the body can be treated ? Actually the treatment can be applied anywhere on the body, however the usual and most popular areas are the face, neck, decolletage and hands. The consultation is always a very important part of the treatment. It is during this time I tell you about the treatment, what it entails, answer any questions you may have and whether you would be a good candidate for this treatment. If you decide to go ahead with a treatment a medical history form is completed and a consent form signed. Before the anaesthetic cream is applied photographs are taken (Any photographs taken will not be made public without your consent. The cream is thickly applied to the area requiring treatment for approximately 45 minutes. It is then removed and the area cleaned. 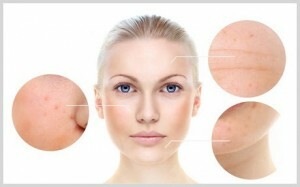 Then the micro-needling process is undertaken until the whole area has been covered. After treatment the area is cleaned and a moisturiser and sunscreen applied. How do I look after treatment? You will look red, resembling moderate sunburn. The skin will feel warmer and tighter. These normally reduce by 50% within an hour or two and will normally recover within the same day with only slight redness the following day. Are there special instructions have to follow after treatment? Use tepid water to cleanse the face for the next 48 hours and pat dry using a clean towel. It is recommended make-up is not applied for 12 hours unless it is a clean medical grade mineral product. A moisturiser and sunscreen are supplied as part of the treatment cost. No products containing acid or alcohol to be used for 5 days after treatment. The treatment encourages the skin to naturally repair itself by increasing the collagen production to aid healing. It is collagen that promotes a youthful skin. New skin cells are generated and the blood supply is enhanced. How many treatments does a course entail? For skin rejuvenation a course of 3 treatments are recommended . For acne scar and stretch mark treatment you may require 3-5 treatments It is recommended a one-off treatment is performed every 2-3 months to maintain the effects. Yes, this is a very safe treatment. There are several contraindications when the treatment should not be used, i.e. active coldsores, those taking anticoagulant therapy, retinoids, roaccutane treatment a history of keloid scarring, certain skin conditions etc. The medical history form and consultation will determine whether you are a suitable candidate for treatment. Are there any do’s and dont’s after treatment? Yes, it is important you keep the skin clean for 6 hours after treatment. It is advisable to always use sunblock during the course. It is okay to exercise after treatment however swimming is not advisable. Due to the application of the anaesthetic cream the treatment should not be painful. However the brow area and the upper lip is slightly more sensitive to treat.